I had never made enchiladas before. Wait, back up. 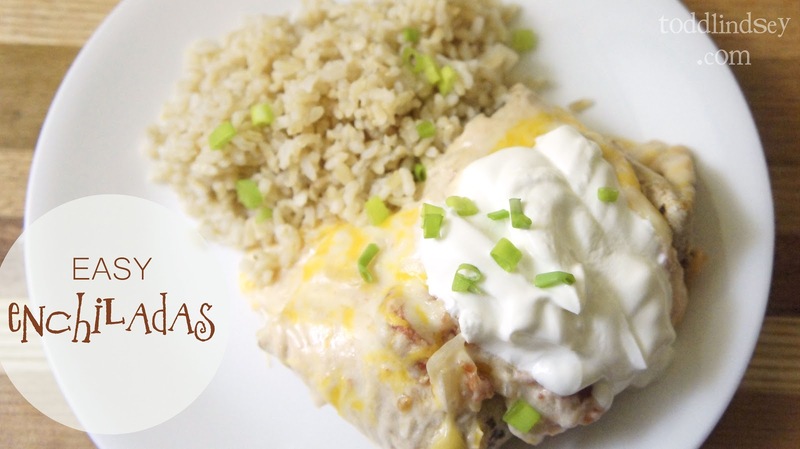 I had never tasted enchiladas before! 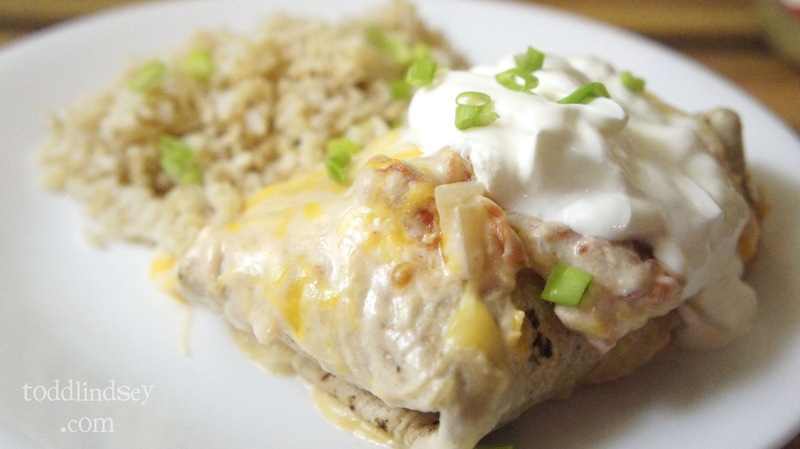 Until last night when I made these super-easy Easy Enchiladas (from Quick Cooking). They were really creamy and yummy and did I mention easy? Only thirty minutes prep and the remaining 25 minutes were oven time. And Todd gave it an 8.7 out of 10. This is also a great way to use up leftover chicken or whatever meat you have lying around in your fridge. 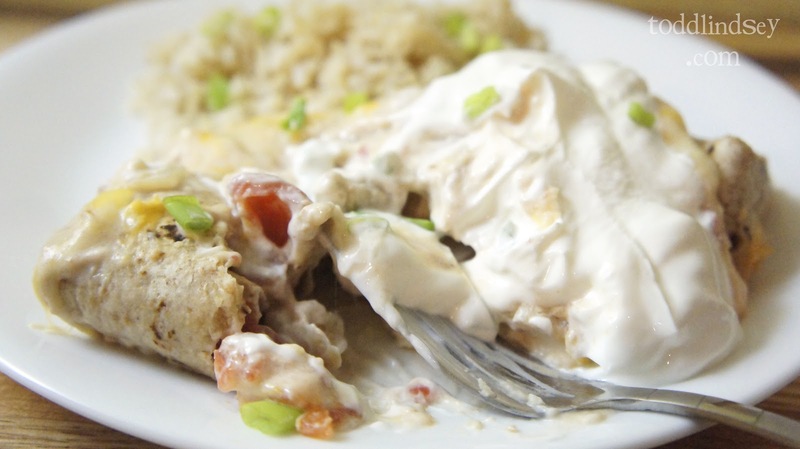 I served the enchiladas with instant brown rice and topped them with sour cream and scallions. I also subbed low carb tortillas for the flour ones the recipe called for to make it a tad healthier. Preheat the oven to 350* and spray a 9x13 casserole with nonstick spray. Saute the onions until tender and then remove from the heat. Add the soup, tomatoes, sour cream, 3/4 cheddar and 3/4 mozzarella to the onions and stir to combine. Place 3 tbs of the sauce onto each tortilla. Top each tortilla with 1/3 c chicken. Roll each tortilla and place seam side down in the casserole dish. Spoon remaining sauce over the top of each enchilada. Sprinkle remaining cheese evenly on top. Bake for 25 minutes or until the cheese is bubbly and everything is heated through.